Is your career taking you to Maryland? Perhaps it’s your family or the beautiful landscapes. Whatever your reason for moving from New Jersey to Maryland, choosing the right mover to get you there is a must. Simonik Moving and Storage can help you move with efficiency and ease. We’ve been providing quality moving services to New Jersey residents since 1977, and our commitment to our customers continues to be the driving force behind our company. 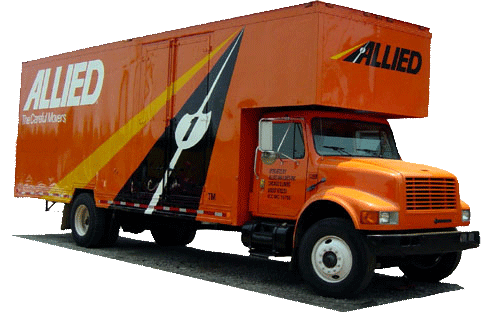 As an award-winning agent of Allied Van Lines, we are part of a nationwide network of moving companies, giving us a unique advantage for interstate moves like yours. A long-distance move can take multiple days, or even weeks, depending on your schedule and the conditions of your new home. Your items are always packed in secure containers fit for international shipping, which we can store in our warehouse facility until you’re ready to move in, whether that means a few hours or a few months, just another way our team makes your move from NJ to MD easier. Our company works with households throughout North and Central New Jersey, including Hunterdon, Mercer, Middlesex, Monmouth, Morris, and Somerset counties. Our company is a certified ProMover with the American Moving and Storage Association, placing us among the top moving companies in the nation, and keeping us informed on the latest industry standards f for long distance moves. We’re so dedicated to providing a top-tier moving service that we’ve been named ‘Mover of the Year’ by the New Jersey Warehousemen and Movers Association, a title Simonik Moving & Storage wears with pride as we continue to develop our efficiency. Call now to learn more about what we can do for you and your family. Between our courteous staff and custom-built moving plans, we’re certain that you’ll notice the Simonik difference. Fill out our online quote form today for a free, no-obligation estimate from our team. We look forward to making your NJ to Maryland move effortless.